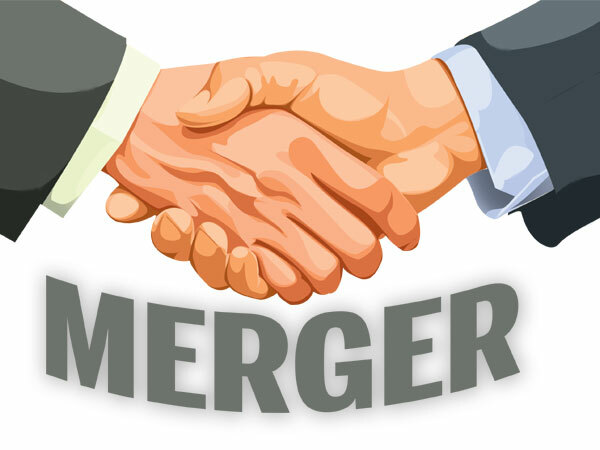 Earlier this month, the Financial Times (FT) reported that mergers and acquisition (M&A) activity in Africa has fallen to its lowest level in more than a decade, as a result of collapsing commodity prices, political volatility and an anticipated rise in US interest rates. The value of African deals so far this year stands at $9.2 billion — 23% lower than the same period 12 months ago and the lowest level recorded since 2004, according to data from Dealogic. – Burbidge Capital also found that Kenya’s merger & acquisition deals slowed down in 2015 – with 11 M&A deals so far compared to 17 in the first four months of 2014. This year, the largest concluded deals have seen Helios sell a stake in Equity Bank to Norwegian funds and and Old Mutual’s purchase of a 60.7% in UAP Holdings. More mergers are expected in the Kenyan banking sector as the Treasury Secretary announced that an increase in the minimum capital to strengthen banks’ capital base and increase competition…progressively from the current Kshs 1 billion to Kshs 5 billion (~52 million) by 2018. 20 banks are below the Kshs 2 billion mark. – Helios cashing out; Norfund & Norwegian private investors are acquiring 50% of Helios partners investment in Kenya’ Equity Bank Group and will now own 12%. And today, Uganda’s National Social Security Fund has bought a 2.44% stake in Equity Bank Group from Helios Investors at Kshs 50 per share – and the new deal is worth ~$50 million. – National Bank management said it has not been briefed on any merger plans with its State-owned rival Consolidated Bank. Treasury secretary Henry Rotich said National Bank would be merged with another bank before it’s planned rights issue. The government is the biggest shareholder of National Bank controlling about 79% shares consisting of Treasury and NSSF stakes. As part of a rights issue it is expected that NBK will retire its preference shares (held by the Treasury and NSSF) by converting them into ordinary shares. – High-level talks regarding a merger between NIC Bank and Commercial Bank of Africa are reportedly taking place but Mshwari may be spun out of any resulting entity. Both are mid-tier banks with quite a focus on corporate and high-end clients. – While Mwalimu SACCO is acquiring 51% of Equatorial Commercial Bank (ECB), the Society is not converting into a bank nor merging with ECB. – Kenya’s Nairobi Securities Exchange is acquiring the 77% of their associate company CDSC, which they own with stockbrokers, in a deal worth~Kshs 260 million. – Barclays Africa advised on the largest sale of an African Bank in 2014 – a deal, in which Nigeria state-owned Asset Management Corporation of Nigeria (AMCON) sold Mainstreet Bank to Skye Bank. – Equity Group Holdings agreed to acquire 79% of ProCredit Bank Congo, the 7th largest bank (by assets) in DRC. ProCredit has total assets of $200 million, a customer base of over 170,000, and has KfW (12%) and IFC (9%) amongst its shareholders. – Liaison Financial Services who have just been approved as an investment advisor in Kenya recently acquired the African business of Knutson Global who were involved in asset-backed securities, municipal development bonds and consumer lending. Oxford Business Group expects strong Kenya insurance M&A as companies merge to increase market share & meet higher capital requirements. – The Mauritian Minister for Financial Services, Roshi Bhadain, said the State Insurance Company of Mauritius (SICOM), would take over the 23.9% stake (valued at more than Kshs 13 billion) held by Businessman, Mr. Dawood Rawat, in financial services firm British-American Investments Company (Kenya) – a.k.a. Britam. This comes after the government of Mauritius placed Rawat’s firms in receivership over alleged financial impropriety charges. – UAP and Old Mutual agreed on a merger ahead of listing. This comes after Old Mutual raised its shareholding to 60% from 23% after buying 37% from private equity (PE) firms Aureos, Africinvest and Swedfund for around Kshs 14 billion. Old Mutual will not buy out the other 1,000 minority shareholders (who are staff & agents). Old Mutual first bought into UAP in January by acquiring a 23.3% stake from Centum Investments and businessman. Centum sold its stake to get funding needed for its massive real estate, financial services and power projects. – Barclays Africa will acquire 63% of First Assurance, Kenya’s No. 10 insurer, for Kshs 2.8 billion (~$30 million). – KCB Group is said to be considering a takeover of Madison Insurance. – Pan Africa Insurance shareholders approved the acquisition of at least 51% percent of Gateway insurance. Through this acquisition, the company will enter into the general insurance business. – Kenya’s competition authority approved the acquisition of 61.2% of Resolution Health East Africa by Leapfrog II Holdings. – The Heron Portico, which is managed by Indian hospitality group Sarovar Hotels & Resorts, says the acquisition of rival Zehneria Hotel in Nairobi’s Westlands in a Kshs 1 billion buyout to expand its market share in conference tourism and hospitality industry in Kenya. The Heron Portico financed 80% of the purchase price using debt while the rest is self-financed. – Minor Hotel Group of Thailand, and Elewana Afrika, are acquiring 6 camps spread across national parks in Meru, Samburu and Narok counties. Stefano and Liz Cheli (Cheli and Peacock Group), the founders of the camps, will continue to run the resorts and focus on business development. – Kenya’s Competition Authority approved the acquisition by Fortune Hotels of Paradise Safari Park and 85% of Paradise Investments and Development Kenya held by Paradise Company. – TPSEA (Serena) acquires 25.1% of TPS (D) that was set up to run the Movenpick Hotel in Dar, now known as the Dar es Salaam Serena Hotel in Tanzania. – Frontier Services Group (FSG), a Nairobi-based logistics firm, has completed its purchase of Cheetah Logistics SARL – Congolese transport company as part of central and western Africa expansion plan. Kenya’s competition authority also approved the acquisition of Phoenix Aviation by Frontier Services Group as well as the acquisition of 55% of Tradewinds Aviation Services by NAS Africa Aviation. 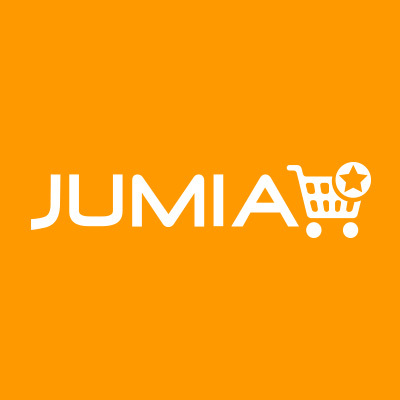 – UK logistics and engineering firm Atlas Development says it is in advanced stages of discussions with potential takeover targets in Kenya, Tanzania and Ethiopia. Norfund to acquire a stake in Globeleq Africa from Actis for $225M and partner with CDC to pursue power generation opportunities. UAE’s Gulf Petrochem Group acquires Essar Petroleum East Africa and renames it as Aspam Energy (Kenya) in a deal to enhance the group’s integrated services and products for the downstream supply chain in the oil and gas sector in East Africa. – Scangroup dropped a bid to acquire 80% of Experiential Marketing, as approvals were not granted in time. Scangroup shareholders later renamed the company WPP Scangroup signifying that WPP Scangroup and WPP plc. are now fully together, with a shared vision for developing marketing communications across Sub Saharan Africa. – Hill+Knowlton Strategies (H+K), and Buchanan, one of the world’s leading financial communications consultancies, joined forces to launch H+K Financial, a specialist financial communications division dedicated to the Middle East and Africa. – Millicom is to acquire 85% of Zanzibar’s Zantel for $1 and take over $74 million of its debts. Zantel is the leading Telco in Zanzibar (but just 5% to Tanzania’s total) with $82m in revenue and 1.7m customers. – Kenyan innovation, Wezatele, was acquired for $1.7 million by AFB Kenya. – Techno Brain acquired the trips™ suite of integrated customs &revenue software from Crown Agents to provide tax and customs solutions that target the broader financial management needs of government. Akvo Kenya transfers the business of building open source intemet and mobile software to support international development partnerships to Akvo Kenya Foundation. – A Paris-based PE fund bought 30% of Ramco Plexus, a subsidiary of Ramco Group that has an annual turnover of Kshs 5.5 billion. The Ramco Group was started in 1948 as a hardware store, and has grown into a 34-subsidiary strong business, which employs 3,000 people. – Business transfer: Antipest Kenya Limited, has transferred to Modern Ways. – Syngenta rejected Monsanto’s $45 billion merger offer. An eventual agreement will have an impact on Kenya’s agricultural sector. – Shareholders of REA Vipingo Plantations approved sale of the firm’s land at Vipingo to Centum Investments as agreed upon in a settlement with R.E.A Trading. – Giant milk processor Brookside Dairy has bought out Sameer Agriculture & Livestock business in Uganda for Sh3.5 billion (~$38 million). The government of Uganda, which owns 49% (of Sameer) confirmed this on March 25. – The Competition Authority exempted the production, bottling supply and distribution business between Distell and Kenya Wine Agencies Business transfer: for 5 years. – Business transfer: The ice cream production & trading business of Alpha Dairy Products is being transferred to Razco. – Kenya’s competition Authority has approved (i) The acquisition of 50% of Equatorial Commercial Bank Centre by Fidelity Shield Insurance (ii) The acquisition of Parkway Investments by Mt. Kenya University Trustees (iii) The acquisition of Endebees Estate (Kilifi Holdings) by Balloobhoni Chhotabhai Patel.